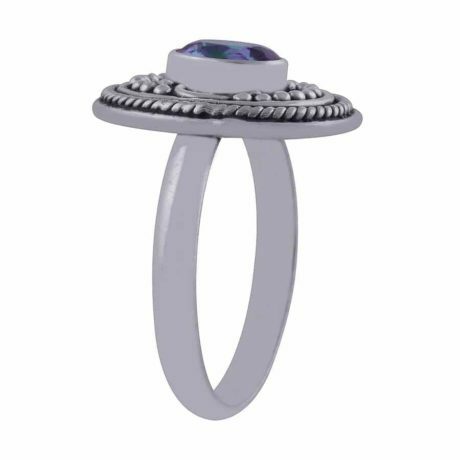 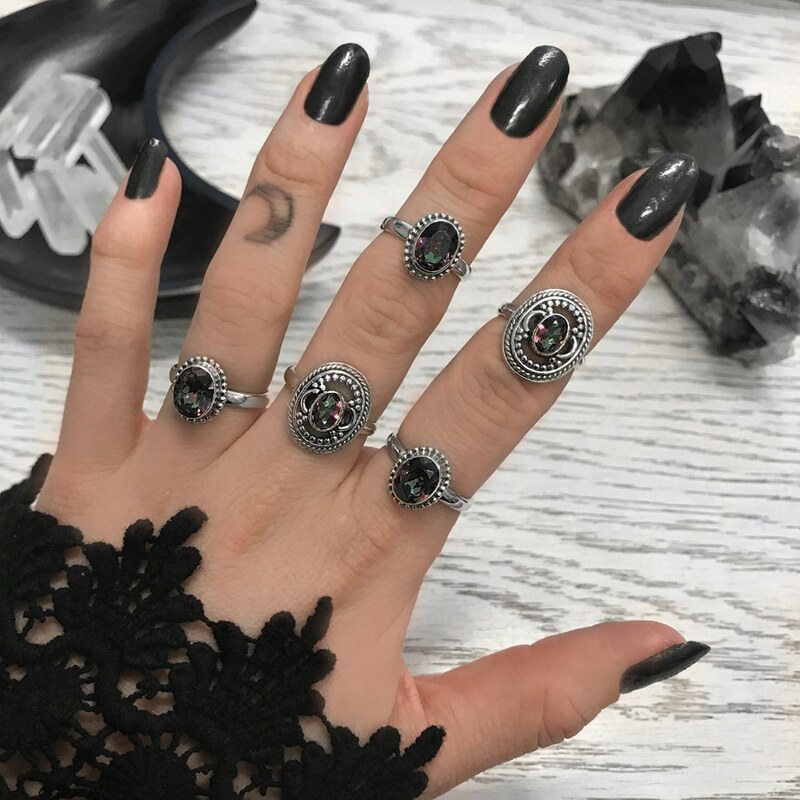 Eye-catching artisan 925 sterling silver ring with an oval mystic topaz stone and intricate silver details. Mystic topaz is a natural white topaz that has been coated with a thin layer of titanium, giving it a unique rainbow colour effect. ONLY left in size 7, no re-stock.